Team collaboration has been the essence on which any organization relies upon. No matter what is the number of team members you have, access to task management apps would be one of the best options for a clear overview of your complex set of activities. There are several options available in the market that help you in this feat, and almost all of them have been capable enough in what they do. Two of such good options are Wrike vs Asana. How do they compare against one another? We will check out the details in the following post. Well, both of them is a well laid out SAAS-based project management tools. They are almost similar in most aspects and offer a comparable set of functionalities. Maybe you are trying to check out which among them would be suitable for your project management needs. If you are one of them looking to choose between the two capable systems – here is a complete comparison that would help you make the right choice without having to look elsewhere. Since both Wrike and Asana work in the same genre, they come with similar functionality regarding task and project management. Some of the related aspects that the project packs in include the following. Both of them focus on the projects. While Wrike makes use of folders for arranging them, Asana makes use of the traditional model of hierarchy. You would be able to create, assign and schedule the tasks. You would also be able to organize them with color codes. Both Wrike and Asana let you view the different projects based on the multiple status conditions – due dates, tasks, and percentage of completion. The right panel on both the systems would show the status of each of the projects. Wrike lets you engage in a project overview in a folder structure, while Asana will let you view the dashboard in the form of progress metrics. Either of them let you add comments and discuss the status of the projects using the @ tags. You can create custom workflows in either system. Since each project will have different degrees of completion, they come with additional transparency. And yes, you need not check out your emails separately. Both Wrike and Asana come with complete integration with the popular email service providers. 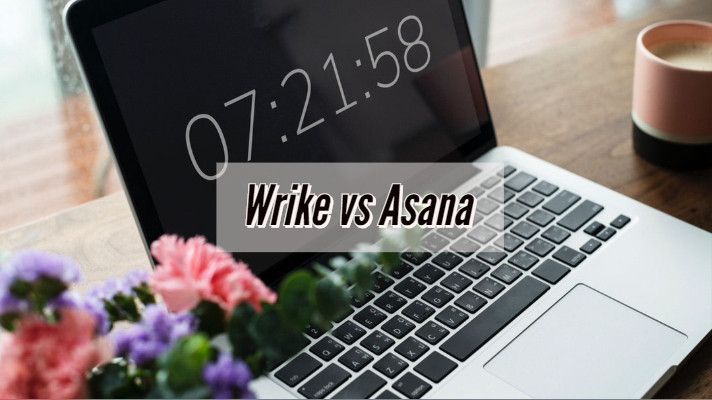 Both Wrike Asana offers you an attractive interface to work with. The UI is quite easy to understand and use on both the tools. You would be able to track the progress and check the performance of each of your tasks without the need for going deeper into the details. A one glance functionality should be one of the features you would indeed love with either of the tools. The only difference between the two is that Wrike presents you the overview in the form of folders for each of the task types, while Asana will offer you a glance of each of the tasks. 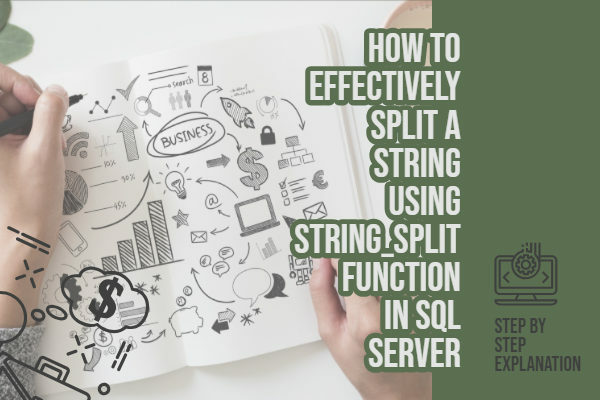 With the similarities outlined in the above paragraphs, it may be a little challenging to make the right choice between the two options. Even with the similarities that we came across in the above discussion, the two project management tools come with their differences. Let us now check out the differences between the two capable systems. There is no native chart support for the users of Asana. However, you can integrate the tool with Instant to make use of the Gantt charts in your installation. 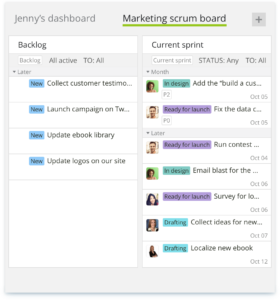 Wrike, on the other hand, has built-in support for Gantt charts. The Gantt charts tend to be useful for tracking the progress of a project. 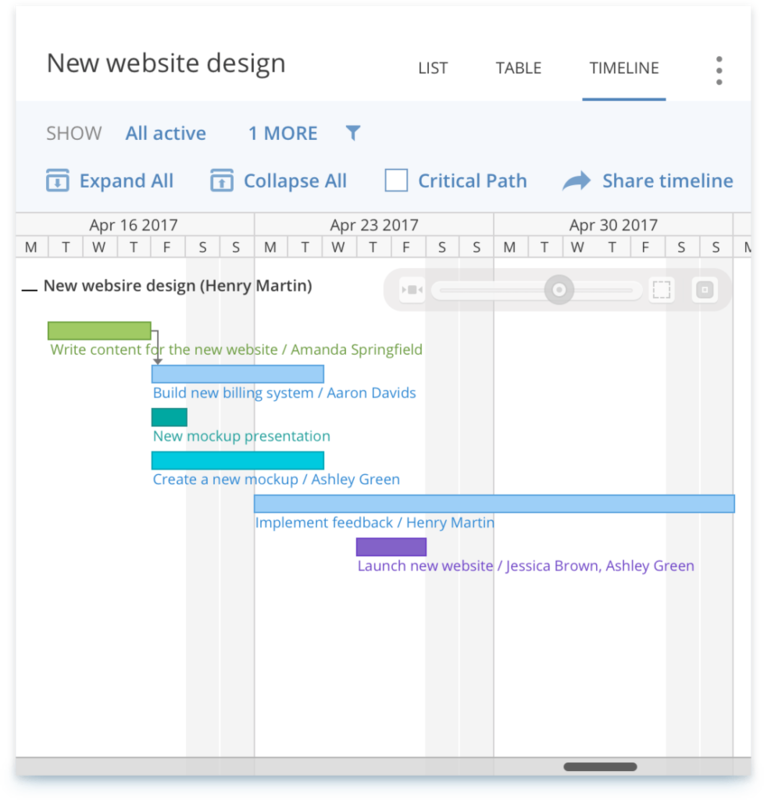 Even with the Gantt chart integration included, Wrike does not offer the functionality with its free plans. Though we mentioned app integrations as one of the similarities between the two tools while comparing their similarities, there are a few slightly different integration options between the two products. Sales Tools Integrations – For the sales integration, Wrike works with Salesforce, while Asana is best to work with its Zapier integration. Time Tracking – This is another area that you will find a differing app integration between the two competing tools. Asana does not have its built-in time tracking option. It works with Everhour and Harvest. Wrike, on the other hand, has its own built-in option for time tracking. The comparison above should not mean either of them is good or bad. Asana is well designed for small and medium businesses, while Wrike is more focused on including enterprise solutions. 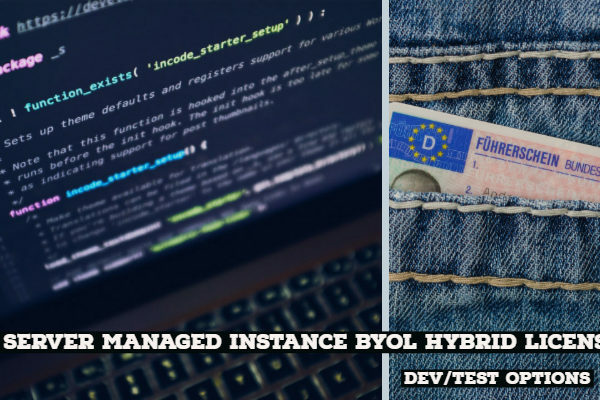 In any case, you will find the API integration functionality on either of the options and help you integrate with any tool of your choice. The services come with tiered and freemium models. You have access to an unlimited collaboration as you would please. That would help you add vendors, clients, freelancers, and others to an approved project for free. While Asana loves calling them Guests, Wrike terms them as collaborators. There are slight differences concerning the free plans though. Wrike offers a free plan for up too five users with limited access to features. The similar free option in Asana would let you work with 15 users with the limited feature set. The help and support offered by these two services compare well with each other. Asana comes with a god support functionality with email support, FAQs, a knowledge base, and troubleshooting videos. Wrike too offers all these support channels, but also, you will also get live chat and phone support. A tabulated comparison would indeed be helpful in arriving at the right decision while choosing the correct kind of tool for your needs. Which One Should You Go With? Well, your choice should be dependent upon the exact industry you are looking for the tool for. Of course, both of them are suited for almost any kind of trade. Even then, there are a few inherent differences. Go for Wrike if you are in a business that spans the genres like Social media companies, marketing departments, tech firms or those areas where project management solutions are of prime importance. Asana, on the other hand, can be one of the best solutions if your preferences are in the realm of task management tools. Some important examples can include healthcare industries, designing teams, technology, and marketing teams. 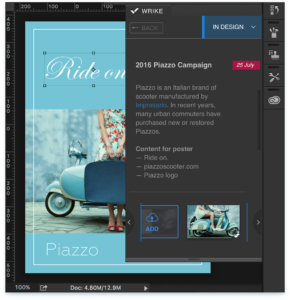 A few clients of Wrike include PayPal, Adobe, Google, Electronic Arts, and HTC. The clients working with Asana include Foursquare, Virginia Tech, Dropbox, and Disqus. As per the comparison above, you would find that Asana matches most of the features that the Wrike has on offer. Of course, there are a few slight differences, but Wrike is a little expensive in comparison. If you are looking for the best options in project management at a lower cost, Asana can very well compare with Wrike. In any case, both Asana and Wrike are very comprehensive project management tools in their own right. You can choose the one that meets your needs. If you are tight on budget, you can go with Asana, and yes, it does come with an impressive set of features. 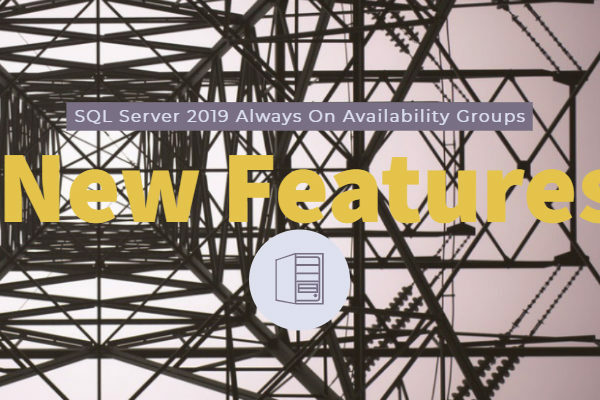 Next PostWhat are the Domain Functional Levels in Windows Server 2019?